Clint A. Langer is a partner in the Sheridan office and a former law clerk for the Honorable Clarence A. Brimmer, United States District Court for the District of Wyoming. 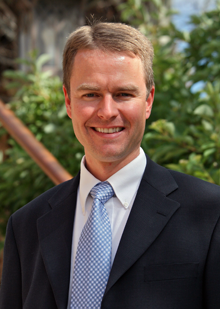 He graduated with honors from the University of Wyoming College of Law in 2000. He completed his undergraduate degree at the University of Wyoming College of Business where he was selected as the Outstanding Senior in Business Administration. Clint was a member of the Mortar Board, Phi Kappa Phi, and Beta Gamma Sigma honor societies. Clint practices in the transactional and litigation areas affecting landowners and businesses in Wyoming. His transactional practice includes business formation, real estate development, and commercial lending. He litigates cases involving construction law, lien law, business law, corporate law, commercial law, contracts, real estate, zoning, planning and land use. Clint also regularly advises clients on matters of debt collection, employment, and estate planning issues. Clint is a member of the Wyoming Civil Pattern Jury Instruction Committee and a past member of the Wyoming State Bar Board of Continuing Legal Education.